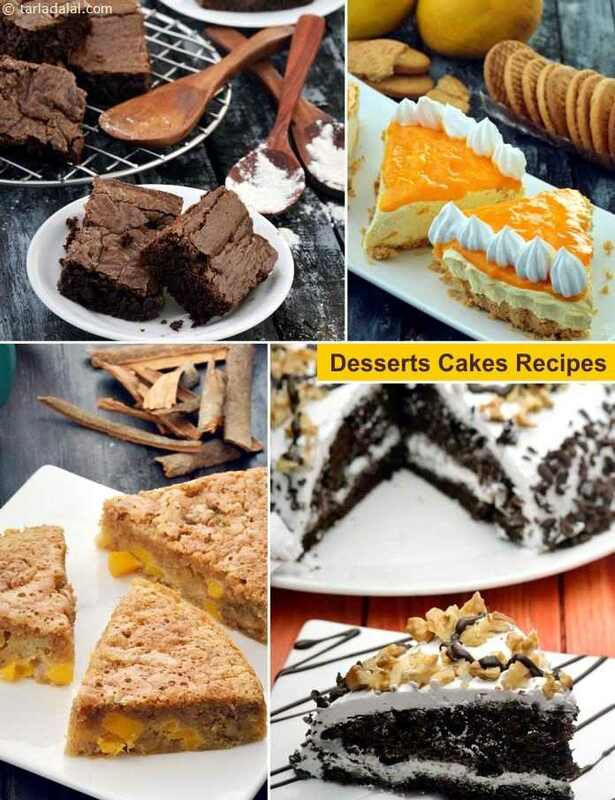 One of the most popular and versatile of desserts, cakes are soft and spongy delicacies made of flour, flavoured and decorated excitingly, to make treats ranging from tea-time cakes and party cakes to pastries and cupcakes. Cakes may be served plain, fresh and warm, with a cup of hot chocolate or tea. They can be decorated for special occasions, or topped with ice-cream and served as dessert. Try our delightful creations like the Black Forest Cake and Tiramisu . The Apple Cinnamon Muffin is so delicious, it will entice even those who are not very fond of apples. The fruity aroma of apples and the delicate smell of cinnamon fill the entire house with their magic even as this muffin bakes! Stranded in a foreign land with no clue what to eat? Walk into a bakery or tea-house and you will surely find some Banana and Walnut Bread to warm your soul and fill your tummy.